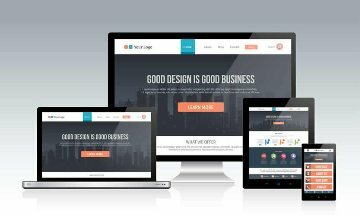 Create a high powered web experience for your visitors that is automatically responsive for all devices. 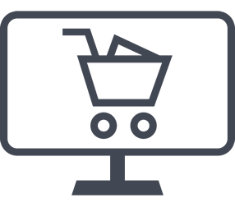 Sell your products and services with our integrated shopping cart and order processing platform. Connect with and grow your user base with social networking connections, integrated SEO, blog tools and our email marketing system. Built for lightning fast performance, our cloud-based application is powerful, lightening fast, safe, and secure. Deliver your message directly to your customers with our powerful content management system (CMS). All the tools you need to grow your business are included. Our search engine guide walks you through the process of optimizing your website for maximum search engine performance. Easily connect your site to Facebook, Twitter, Google and more top social networking sites. The integrated mailing list manager makes it easy to send mass marketing emails to customers that are eager to hear your message. Track everything with integrated statistics and advanced landing page support. "Start selling with pro Ecommerce - Our comprehensive ecommerce platform includes everything that you need to open your store on the internet." "Grow your business - All the tools you need to grow your business are included." "Deliver your message directly to your customers with our powerful content management system (CMS). In just a few minutes you can have your first page started."